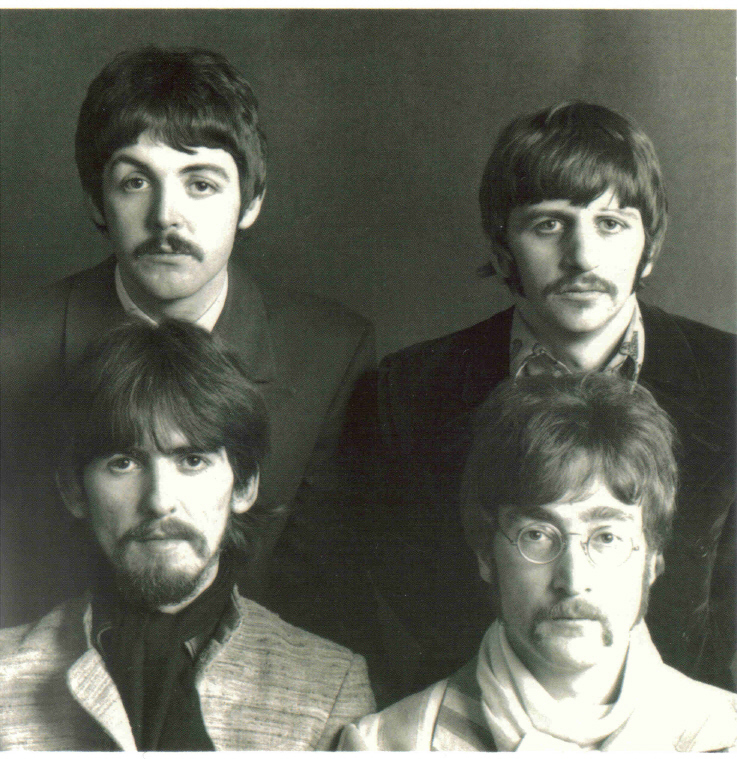 The Beatles Collection » Vee-Jay Record Sleeves. 1. 1963 Vee-Jay Record Sleeve. 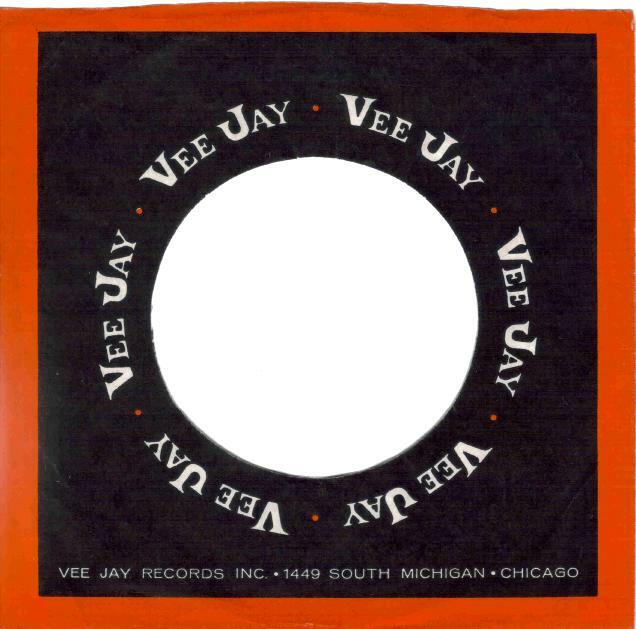 During 1963, Vee-Jay often issued its singles in red, white and black center cut sleeves with VEE-JAY printed in the same typestyle as oval logo and with Vee-Jay’s 1449 South Michigan, Chicago, address printed at the bottom. 2. 1964 Vee-Jay Right Brackets Record Sleeve. After Vee-Jay switched from the oval logo to the brackets logo towards the end of 1963, the company began using record sleeves with the brackets logo. 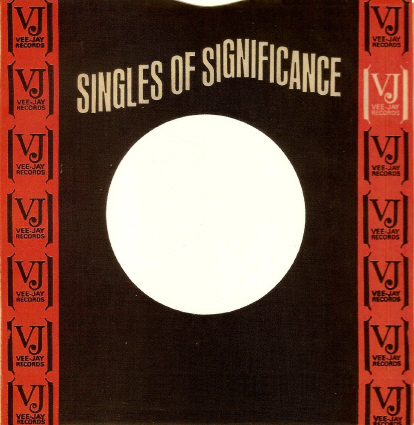 These sleeves have the phrase “SINGLES OF SIGNIFICANCE” and, significantly, do not have the label’s Chicago address at the bottom. 3. 1964 Vee-Jay Left & Right Record Sleeve. 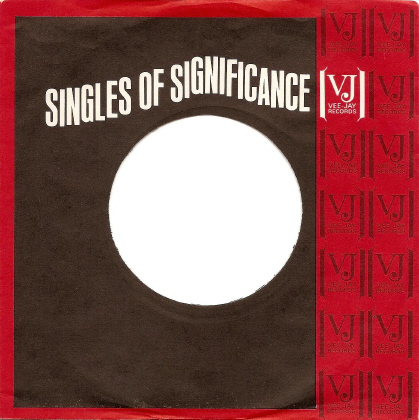 Sleeve have the phrase “SINGLES OF SIGNIFICANCE” and do not have the label’s Chicago address at the bottom. These sleeves have one column og seven brackets logos forming the border of both the left and right side of the sleeve.